Rugged, water-based smoke and haze machine. Max output 51000cbm/hr. Compatible with Freezefog Pro. 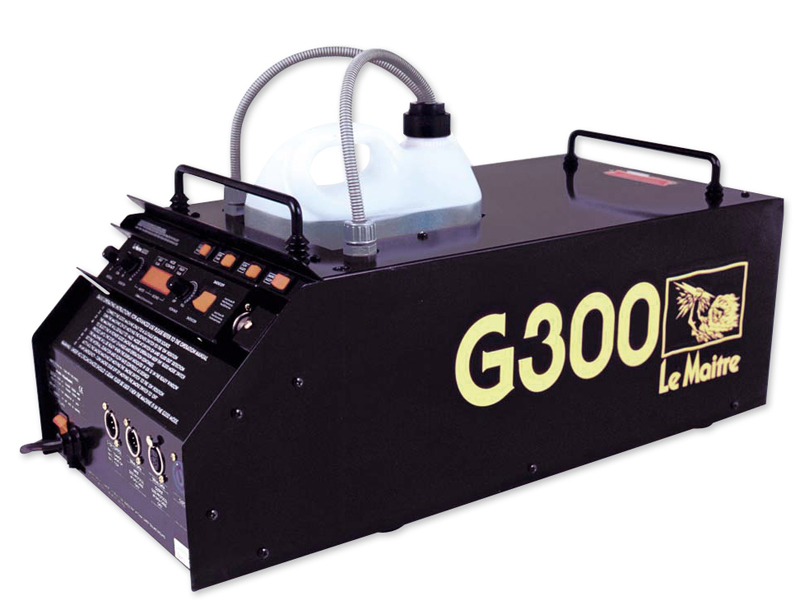 The G300 - Le Maitre’s flagship fog machine is rugged, versatile, and has very high output. The G300 is a dual-mode machine, offering water based fog and haze. Designed to perform in the most demanding of applications, the G300 is the machine of choice among touring, rental, theme park, and cruise ship customers. The Freezefog and the LSG can be controlled directly via the integral power port to produce a spectacular low fog effect.